McEntyre's Cheese Straws have been a Southern favorite for over 50 years! 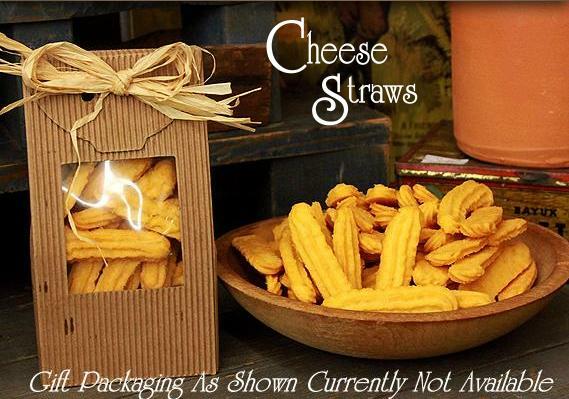 In fact, hosting a shower or party without McEntyre's Cheese Straws is considered a social faux pas in some parts of the Deep South! They're made with the highest quality sharp cheddar cheese and a hint of cayenne pepper to make them absolutely irresistible. Stop in any time for a FREE SAMPLE! We're working hard to provide nation-wide shipping to all of our customers outside of the Metro-Atlanta Area. Sign up below to be contacted when we're all set and ready to send them your way!